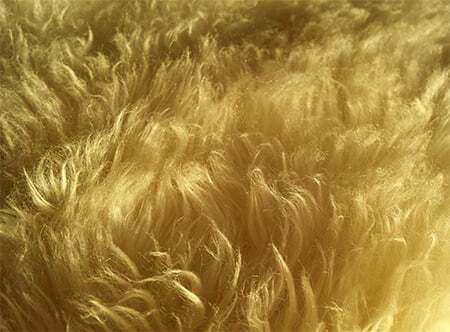 Common effects of urine spills on rugs include moisture damage (in the worst-case scenario, causing seams to separate and jute backing to rot), discolouration and bad odour. Odour is an issue especially with cat urine. A cat’s diet tends to be higher in protein than that of a dog or human, so its urine will produce a more pungent odour and is more likely to stain. 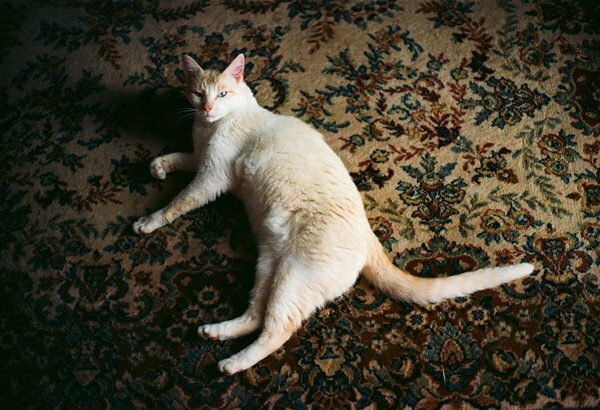 A further problem is that if a pet can smell its own urine in a rug, it’s more likely to urinate there again. Unfortunately, if you’re unable to completely remove the stain from the carpet, total odour removal is unlikely. At Chelsea Cleaning, we’re experts at permanently removing urine and associated odours from loose rugs and carpets. First, we fully immerse a soiled rug in our wash pond to flush out uric acid. 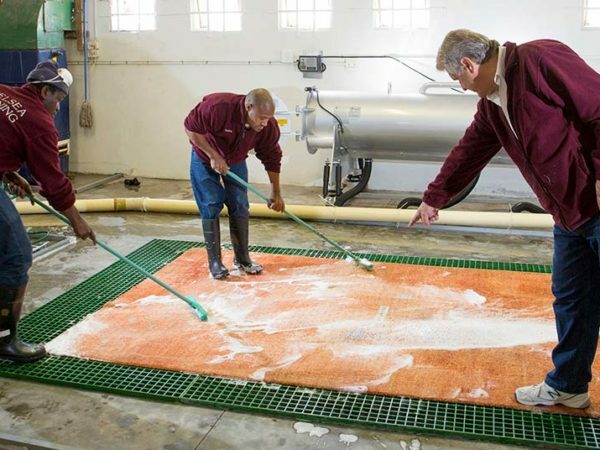 The rug is then washed, rinsed and deodorised, before being dried in our state-of-the art centrifuge – which removes up to 96% of moisture in minutes, without putting the rug at risk of shrinking or discolouration. If there’s still any sign of staining or odour, the process is repeated. 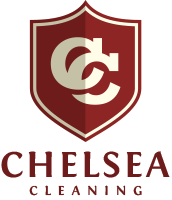 Our rug cleaning method is unique to Chelsea Cleaning, and delivers superior results. If you’re lucky enough to detect urine on a rug while it’s still wet, immediately place a layer of paper towels over the soiled area. Either stand on the paper towels or place a heavy object on top to absorb as much liquid as possible. If the urine is already dry when you discover it, examine the rug carefully to determine all of the areas that have been soiled. Both new and set-in stains can be treated with a vinegar solution, made from one part white vinegar to two parts water. This will help neutralise the ammonia smell and should remove stains without fading the fibres. To be safe, however, do a spot test on a small area that’s not usually visible to make sure that the solution won’t damage the rug. Apply the diluted vinegar by pouring it onto the soiled area slowly. Then allow 10 minutes for the liquid to soak in. Next, use paper towels to absorb any excess solution and leave the rug to dry completely. Finally, sprinkle the area that you’ve cleaned with baking soda to remove moisture and deodorise it, letting the baking soda sit for about 15 minutes before vacuuming it up. If using vinegar and baking soda does not remove the stain or odour completely, follow with a solution of ¼ teaspoon of non-bleach, non-lanolin liquid dish-washing detergent, mixed with a cup of lukewarm water. To apply this solution, saturate paper towels and blot the affected area. Next, blot the area dry with fresh paper towels, rinse the spot with warm water and repeat until the stain or odour is gone. For professional help cleaning urine from your rugs, contact us at Chelsea Cleaning and we’ll be happy to help.